﻿﻿Installing a mural in your room is an easy way to add art, colour, drama and interest. 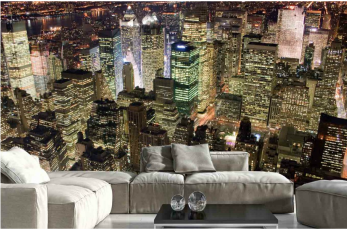 Our murals are easy to install, easy to remove and are produced on high quality wallpapers. Our selection of abstract modern murals allows you to have a stunning work of art on your wall, for a fraction of the cost as a large canvass or painting. 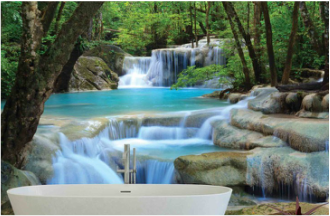 Scenic and natural murals are an ideal way to bring tranquillity into your home. We have tree murals, waterfall murals, forest murals, barn door murals. 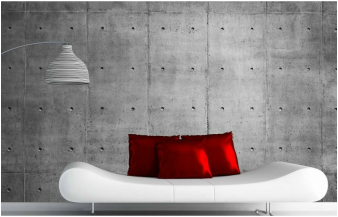 Our Urban Murals allow you to create a loft or warehouse theme to your home, with concrete murals, metal murals, wooden plank murals and peeling paint murals. 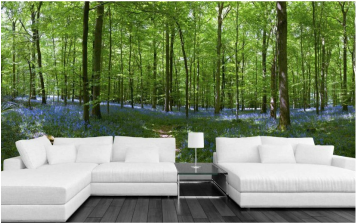 Our beautiful forest murals create a superb look to your wall. We have tree and woodland murals, bark murals, leaf and leaves murals. Wallpaper murals, particularly since the development of digital technology, have the big advantage of avoiding repetition. There is no limit on the width or the height. The only limit is the quality of the image. But digital cameras are now pushing these limits all the time. Of course, the most popular murals are still the landscapes, city scenes, trompe l’oeil and designs styled for children but there seems to be a trend toward abstracts paintings and very large patterns that can be repeated horizontally. In the last 5 years, the progress of digital print quality has been phenomenal to a point where we can claim that it surpasses the quality of traditional wallpaper.